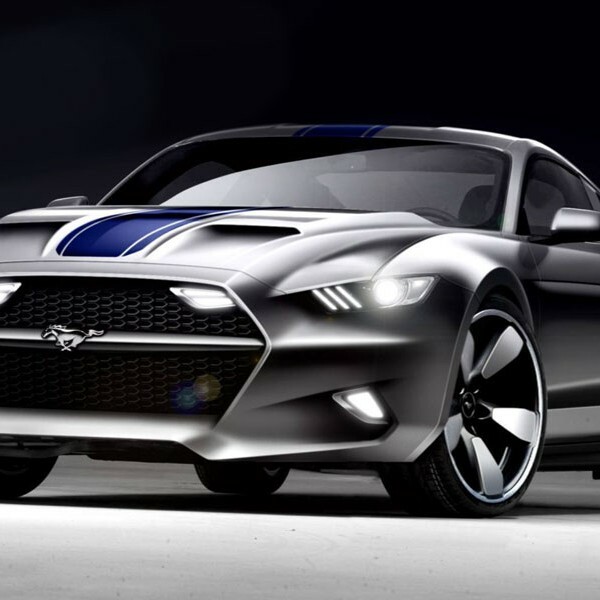 Initial reports have it that these two California based hot-rodders, Henrik Fisker and Beau Boeckmann, have jumped on a 2015 Ford Mustang like a tick on a June-bug. Fisker, known for his creative genius, worked on such remarkable automobiles as the BMW Z8, Aston Martin DB9, and the Fisker Karma but could he improve on the Mustang’s factory design? On the other hand, could he hold his own against a representative of the legendary performance house known as Galpin Automotive? Sure, Boeckmann had plenty of ideas on horsepower buy could these two diverse personalities come together to re-create a supercar that could stun the masses during the 2014 LA Auto Show. Yes, yes, yes; a thousand times, yes! Just three-months after introducing Galpin Auto Sport (a division of Galpin Ford) to artist’s renderings of the Rocket, the car has debuted in Los Angeles. While it bears a striking resemblance to the Mustang, it features a handmade carbon-fiber body that is custom constructed by Metalcrafters, Inc. The hexagonal shaped and elongated carbon fiber front grille hints at the lineage of the Rocket with the familiar stampeding Mustang. The similarities end there. The front fenders have been significantly widened, to accommodate the large 21-inch ADV.1 wheels with Pirelli P-Zero tires, and the specially designed front fascia and hood are masterfully crafted works of functionality that provide the supercharged engine with a vital supply of ambient air. Custom sculpted flared fenders adorn all four corners with polished carbon fiber aerodynamic skirts in the rear, along with an integrated rear spoiler and an enlarged rear diffuser. “Eminence Grise” silver paint with black stripes covers the exterior which also features carbon fiber doors and roof, along with various lighting and subtle vent elements from nose to tail. Inside, the trappings are opulent. Carbon fiber, polished to a fine sheen and married to supple red and black leather, everywhere. Comfortable and secure, Recaro racing seats covered in fine red leather provide the perfect platform from which to pilot this luxurious Rocket. Under the hood, it begins with a stock 420-horsepower 5.0-liter V8 engine and adds a supercharger with intercooler to bump the total up to 725-horsepower. Transmission choices include either an automatic or manual, depending upon driving preference. According Fisker/Galpin these cars will be built to order, with no set number of units projected. The starting price is estimated at $100,000, making this an affordable option for many consumers. Expect the Rocket to be more than capable of straightening the curves with a fully adjustable independent front and rear suspension system and 15-inch Brembo Gran Turismo brakes. Forget Self-Driving Cars, How About Self-Racing Cars?